But sector facing emerging risks as boxships get bigger and the climate changes. Insurer Allianz has revealed a big drop in large shipping losses, but warned the sector faces a number of emerging risks. The company said total losses were down 38% over the last decade, with the trend continuing in 2017. The figure for last year was 94 vessels lost, down 4% from 2016. This was the second lowest in 10 years, after 2014. Bad weather, such as typhoons in Asia and hurricanes in the US, contributed to the loss of more than 20 ships, according to Allianz’s annual review, which analyses reported casualties of more than 100 gt. “The decline in frequency and severity of total losses over the past year continues the positive trend of the past decade,” said Baptiste Ossena, global product leader of hull and marine liabilities. “Insurance claims have been relatively benign, reflecting improved ship design and the positive effects of risk management policy and safety regulation over time. The insurer pointed to “multiple new risk exposures” for owners. The first is ever-larger containerships, which pose fire containment and salvage issues. In recent months there have been serious fires on Maersk Honam and SSL Kolkata. Fire-fighting capabilities have not necessarily kept pace with increasing vessel sizes, the insurer said. Allianz also said the changing climate brings new route risks, with fast-changing conditions in Arctic and North Atlantic waters. Meanwhile, environmental scrutiny is growing as the industry seeks to cut emissions, bringing new technical risks and the threat of machinery damage incidents at the same time. And the NotPetya cyber-attack caused cargo delays and congestion at nearly 80 ports, underlining the threat of cyber risks for the sector. A total of 30 losses occurred in the South China region, Indochina, Indonesia and the Philippines, up 25% annually, driven by activity in Vietnamese waters. This area has been the major global loss hotspot for the past decade, leading some media commentators to label it the “new Bermuda Triangle”, Allianz said. The eastern Mediterranean and Black Sea region is the second major loss hotspot, with 17 followed by the British Isles on 8. There was also a 29% annual increase to 71 in reported shipping incidents in Arctic Circle waters, according to Allianz analysis. Bulkers accounted for five of the 10 largest reported total losses by gross tonnage. There were 61 sinkings overall in 2017. The unluckiest ship of the past year is a passenger ferry operating in the eastern Mediterranean and Black Sea region – it was involved in seven accidents in 12 months. Allianz said that despite decades of safety improvements, the industry has no room for complacency. Fatal accidents such as the Sanchi tanker collision in January and the loss of the El Faro in 2015 persist, and human behavior is often a factor, it added. It is estimated that 75% to 96% of shipping accidents involve human error. 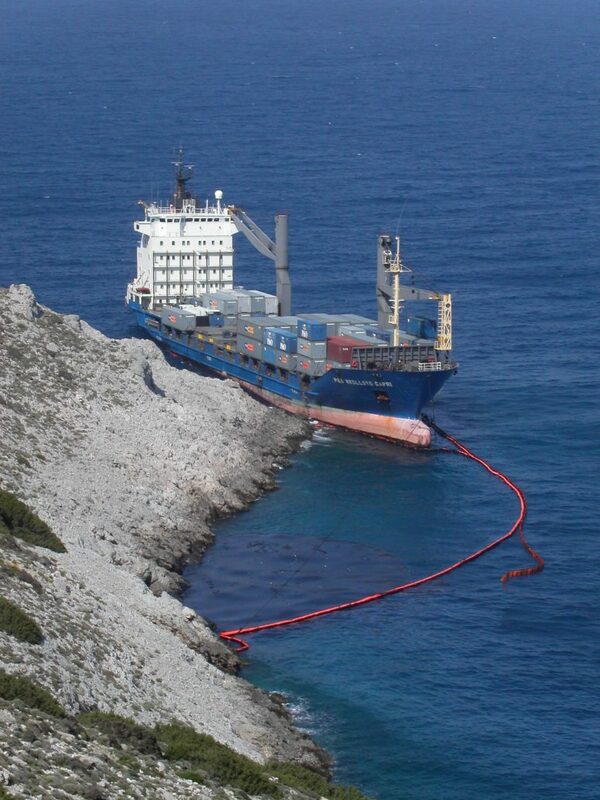 It is also behind 75% of 15,000 marine liability insurance industry claims analysed by Allianz – costing $1.6bn. “Human error continues to be a major driver of incidents,” said Captain Rahul Khanna, global head of marine risk consulting. The company said better use of data and analytics could help. The shipping industry produces a lot of data but could utilise it better, producing real-time findings and alerts, Khanna added. “By analysing data 24/7 we can gain new insights from crew behaviour and near-misses that can identify trends,” he said. Turning to climate change, the insurer said more than 1,000 icebergs drifted into North Atlantic shipping lanes last year, as cargo volumes on the Northern Sea Route reached a record high.